Workshop Espresso joined our Mission to help provide access to “Clean Water for All by 2030”. This Mission was initiated by the United Nations. 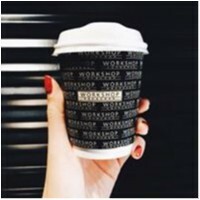 A big thank you to Workshop Espresso’s team and customers for joining this extremely important mission on 11 April 2018. "I know this is a really big call however this is definitely my favourite coffee in Sydney! The Barista is amazing, the rest of the staff are super friendly and the coffee is always awesome! Will continue to keep coming bac."